Asset Tracking software using RFID developed by our experts to address our customers' needs. An intuitive interface that allows you to track assets, right up to its last seen location. 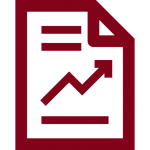 The power to view reports on asset inventory and location throughout your business. 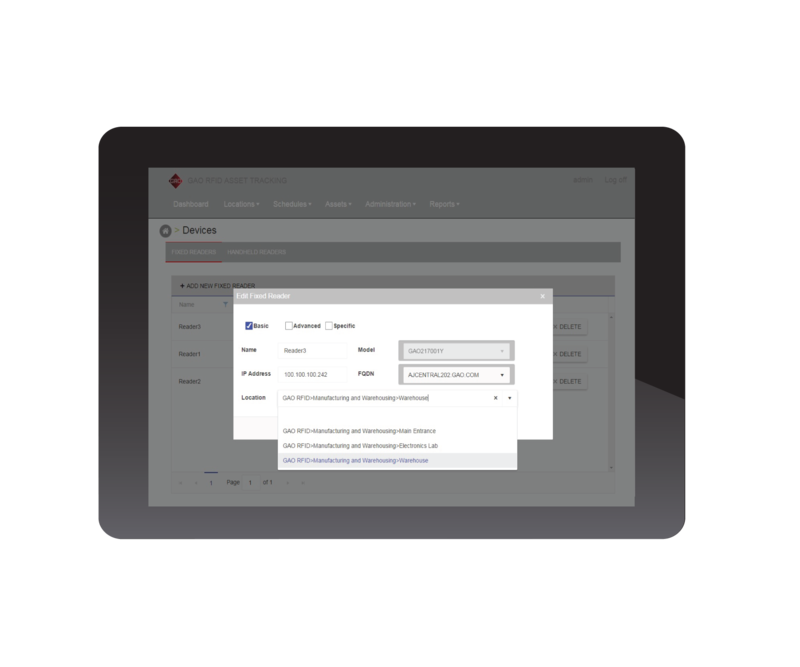 The ability to track and view where your assets are in multiple locations. 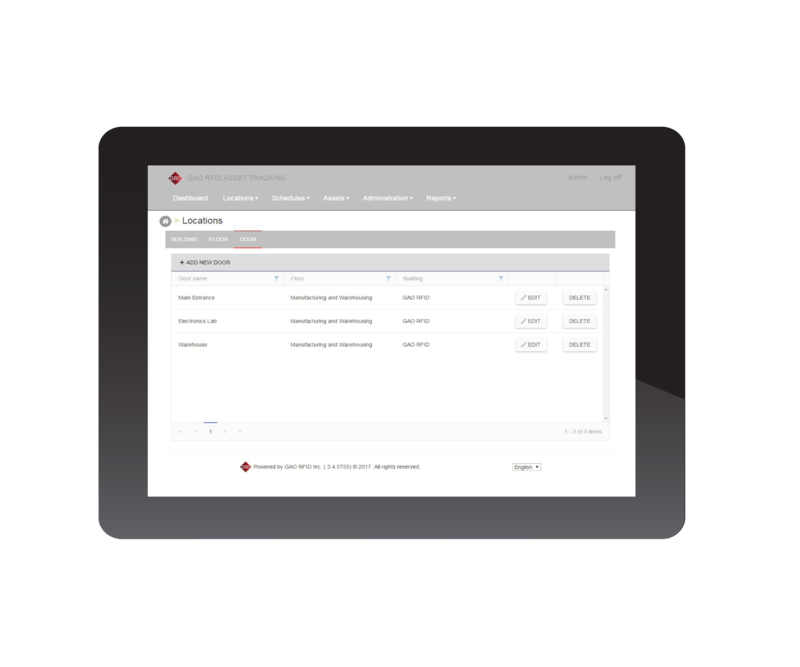 The ability to generate asset tracking reports at your fingertips. 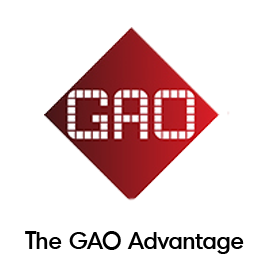 The GAO RFID Asset Tracking System is an integrated tracking solution that can monitor and track asset locations, giving you the ability to clearly see where they’re located or who they’re being used by—eliminating the guesswork, costly losses, and wasting of valuable time. 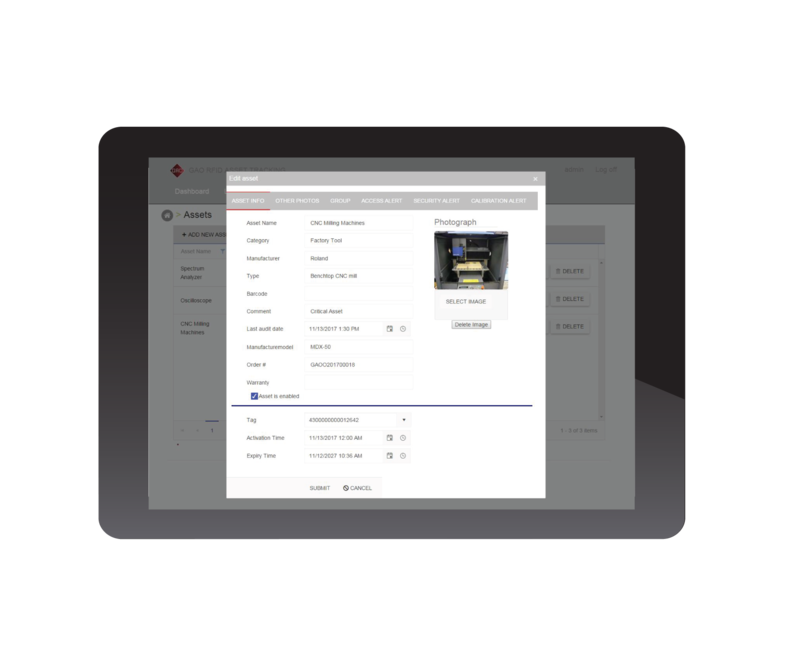 Once you login to our software, you are greeted with a user-friendly dashboard powered by our proprietary Auto-ID Engine that gives you a 360° visibility of your assets throughout the organization. 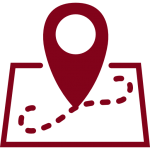 Easily define the locations at your sites where you want to track your assets. By uploading floor plans and then specifying the buildings, floors, and doors, you can quickly create the zones where you want to asset movement. Define which buildings to monitor. Drill-down to floors and doors to create tracking zones. Next, setup the different zones where your assets will be tracked by drilling down to the details of specific floors and doors. 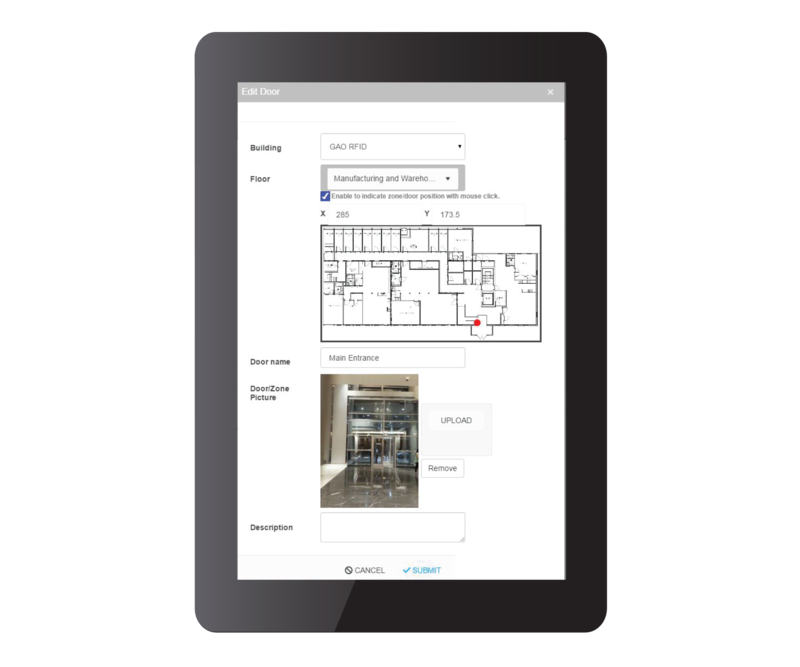 Specify the floors within each building. Identify doors to monitor every floor. 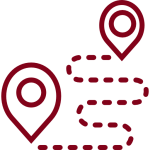 Easily add RFID readers to the asset tracking system and assign them to the locations where they have been physically installed. Install and configure RFID Readers. Designate RFID readers to each door or zone to enable tracking. To begin tracking your assets, you need to first assign RFID identification tags to every item. Organize your assets into asset groups and then indicate their asset group locations to begin detailed tracking. Assign RFID tags to each asset you want to track. 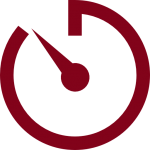 Identify asset locations to start monitoring and tracking. Now you're able to lookup and locate each asset to ensure efficient use of every resource. 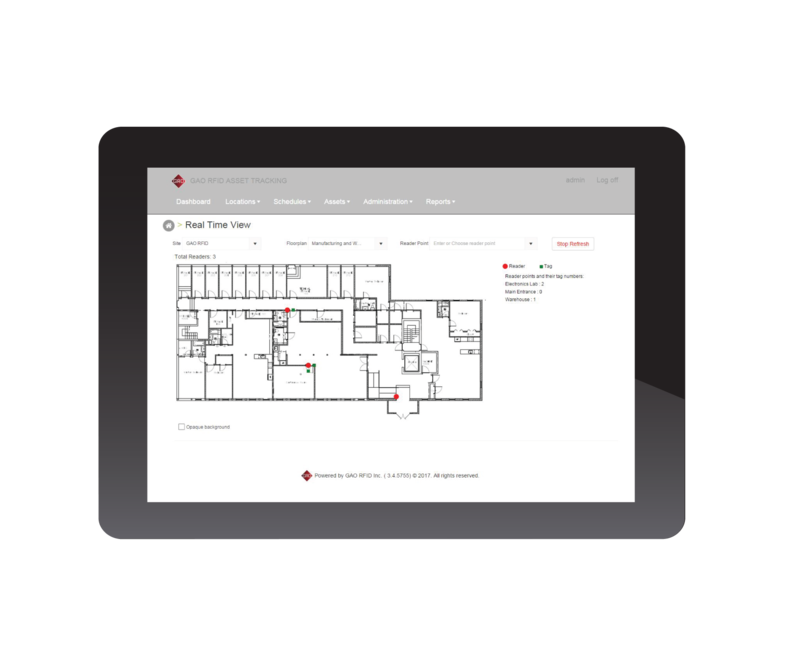 Track and monitor asset movement to verify that they are safely secured within your facility. 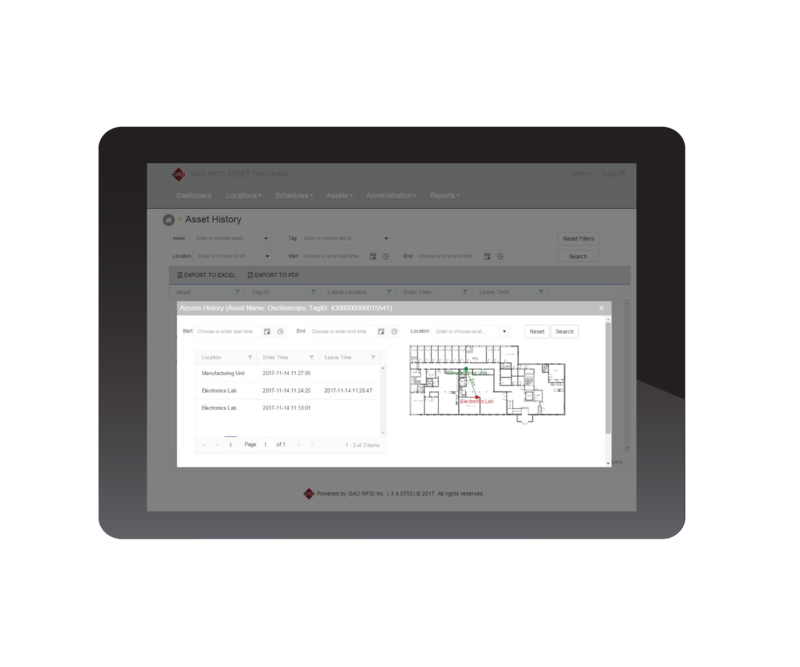 With the ability to display a visual map of asset location for every floor, asset tracking becomes an automated process that is simple and effective. Lookup assets by description or tag ID. Visually see asset locations on map. Gain access to robust reports that provide critical asset monitoring data filtered by location, date, individual items, and more! Interested to see how our Asset Tracking software enables asset tracking for your organization? Our Expert will walk you through a demo! How many floors in your environment? How many assets will you be tracking?